This made me cry and smile at the same time! I was misdiagnosed with PCOS all while knowing it was not true... 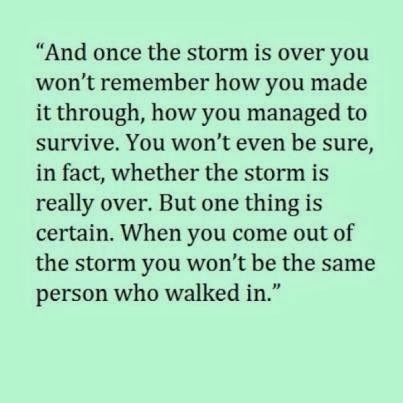 I found out today that I have AS and that after 12 doctors couldn't find it...I sit here in the storm and hope that soon it shall too pass! Thank you for sharing! I was just diagnosed with AS last week. I see the specialist on Monday. I have one little boy, never had a D&C and am completely heartbroken by this diagnosis. Thank you for posting this. It gives me hope and a perspective on the days that are to come. How did your appointment go with the specialist? Feel free to email me(kalynernest@gmail.com) or find me on my Facebook page if you would like to chat directly!